A luxurious, elegant and budget friendly stay option with parking facility. 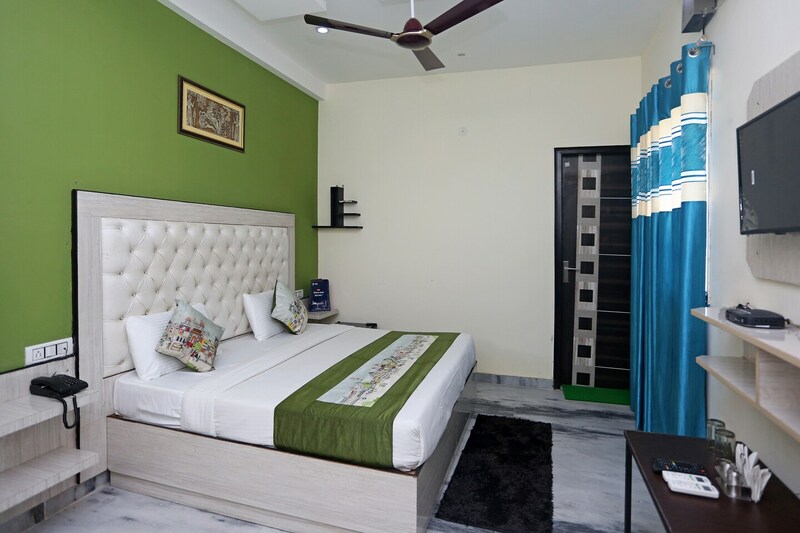 The beautiful and luxurious accommodation, Hotel Homestay, is situated at a walking distance from Indira Colony Bus Stop and Sector-56 Bus Stop. Purana Qila and Tau Devi Lal Biodiversity Park is located few kilometers away. The charming rooms of Hotel Homestay are adorned with intricate interior decor and modern art. The bed is provided with an expensive leather finish headboard. The walls are painted with calming tones of green and white. The room balcony faces the beautiful backdrop of the city. TV, AC and free Wi-Fi are provided for the comfort of the guests. Apart from that, parking facility is also available. Flying Kukkad and For Heaven's Cake! are located at a walking distance from the hotel. Other restaurants like Chef's Kitchen and Brooklyn RestoCafe are also located nearby.